NKBA Certification is based on in-depth testing and extensive industry experience. It was developed to establish an immediate, deeper level of trust between kitchen and bath professionals and their clients. Certified designers must also meet annual continuing education requirements. 1. Associate Kitchen and Bath Designer (AKBD) is a certified professional, knowledgeable in product selection, space planning, materials and finishes. Learn more. 2. Certified Kitchen Designer® (CKD) specializes in the design, planning and execution of residential kitchens. Furthermore, a CKD has extensive knowledge of building codes, appliances and mechanical systems. Certified Kitchen Designers write specifications and draw plans that are easily interpreted by plumbers, electricians, and installers. 3. Certified Bath Designer® (CBD) specializes in the design, planning and execution of residential bathrooms. Furthermore, a CBD have extensive knowledge of building codes, appliances and mechanical systems. Certified Bath Designers write specifications and draw plans that are easily interpreted by plumbers, electricians, and installers. 4. Certified Kitchen and Bath Designers (CKBD) specialize in the design, planning, and execution of residential kitchens and bathrooms, and prove advanced knowledge of technical and personal communication skills required to succeed as a design specialist. (Applicants must hold a valid AKBD certification.) Learn more. 5. Certified Master Kitchen and Bath Designer (CMKBD) is a program which recognizes extraordinary experience and achievements in the kitchen and bath industry. The CMKBD must possess their CKBD certification or CKD and CBD certification, and must have two years of experience beyond initial CKD/CBD or CKBD certification, for a total of seven (7) years of experience in the industry. Learn more. The primary body of knowledge for NKBA certification is the NKBA Professional Resource Library, 9 Volume Set and the NKBA Kitchen & Bathroom Planning Guidelines. The NKBA’s certification examinations are developed in conjunction with the NKBA’s Exam Development Committee. NKBA has developed a partnership with the Living In Place Institute (LIPI) to offer design professionals working in the kitchen and bath space LIPI’s Certified Living In Place Professional (CLIPP) Certification Program endorsed exclusively by the NKBA. For Consumer: Why Hire an NKBA-Certified Designer? The hallmark for the kitchen and bath professional, NKBA certification is based on continuing professional development, in-depth testing and extensive industry experience. NKBA-certified designers are internationally recognized as experts with proficiency in the NKBA Kitchen & Bath Planning Guidelines with Access Standards, which recognize the importance of consumer health, safety and welfare in kitchen and bath design. Certified designers have demonstrated a thorough knowledge of residential construction and mechanical and electrical systems through NKBA standard examinations. 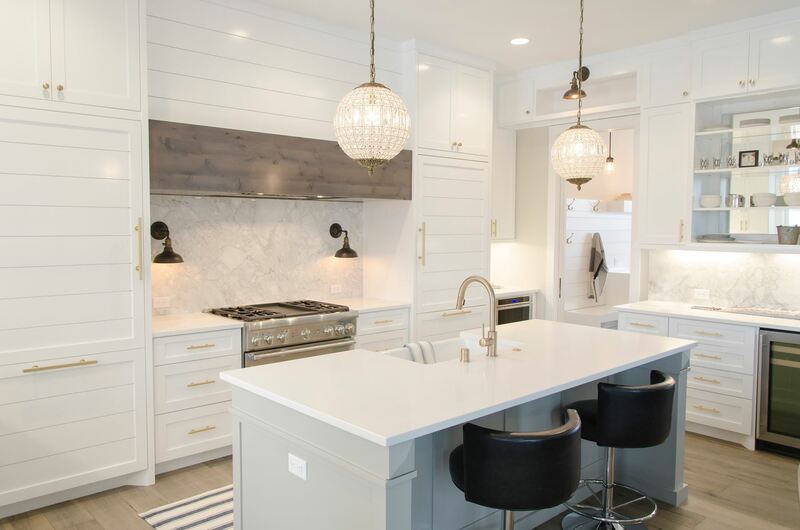 An NKBA certified designer is part of an elite group of professionals whose comprehensive knowledge of kitchen and bath design, construction, mechanical, plumbing and electrical systems is well recognized and highly regarded throughout the industry. NKBA certification serves as an endorsement of professional experience and design expertise on an international level and provides a competitive advantage over non-certified workers. Finally, being certified demonstrates a dedication to be the best in the field, and raises the bar for all. A NKBA Certification sends a clear message to trade and consumers alike that a certified designer takes his or her work — and clients — very seriously. It also gives builders, remodelers, architects, and consumers an objective way to assess credentials and experience. Certification can mean the difference between winning a referral or a job and being left behind. If you are already NKBA certified, use our CEU Reporting Form to submit your CEUs and maintain your certification. Find out if you meet the education requirements for the CKBD exam prior to submitting your application. You may submit the Transcript Review Request Form along with your college transcript. For $15, we will review and award hours for relevant college coursework. Or, you may submit your college transcript along with your application at no additional charge. If you’d like to speak to someone about certification, call 800-THE-NKBA or fill out this contact form and an NKBA staff member will be in touch with you shortly.